Keep Track of Your Receipts! Businessman claimed he ran a proprietorship and filed a Schedule C showing a substantial loss for the year. 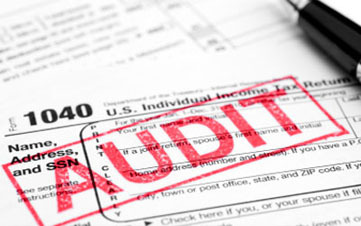 The IRS denied most of the deductions on the return because the taxpayer lacked sufficient records to support them. The taxpayer appealed to the Tax Court. Held: Mostly for the IRS. Under §162, Trade or business expenses, a taxpayer must prove that the expense was ordinary and necessary for carrying on a trade or business; and the expense was paid. For many of the expenses, the taxpayer proved one of the elements but not the other, providing bank statements showing checks written to office supply stores and the USPS — but no detailed record of items purchased and how they related to the business. For other expenses, the taxpayer had invoices showing the amount due and how these items related to the business —but no proof the invoices actually were paid. Acceptable proof could include receipts, cancelled checks or credit card statements. The court ruled the evidence provided by the taxpayer was so scant that the court could not even estimate deductions under the Cohan rule. * The court denied most of the deductions because the taxpayer did not prove both key elements for each deduction. * The Cohan rule lets the IRS and courts use other sources to estimate expenses and amounts, if the evidence is both credible and sufficiently detailed to verify the deduction and to make a reasonable estimate of the amount. This entry was posted in Information, Tax Time Prep, The IRS. Bookmark the permalink.